Occupational Safety programs address physical work in NC State facilities that requires the interaction of human-machine-environment. Physical safety programs serve to mitigate risk and exposure to unsafe practices and reduce injury. Confined Space programs follow the requirements of the federal Occupational Safety and Health Administration (OSHA). Ergonomics is the applied science that seeks to improve the design and function of tools and other objects used by people. Workstation guidelines help better guide your setup options. The goal of this fall prevention program is to establish safe working conditions through effective education, engineering and administrative controls, use of fall protection systems and equipment, and enforcement of the program. The goal of this hand/portable tool program is to minimize the amount of accidents occurring with powered tools, and to reduce the severity of outcome with an incident. 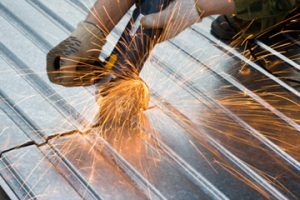 One of the major goals of OSHA is to guard all machinery and equipment to eliminate hazards created by points of operation, ingoing nip points, rotating points, and flying chips and sparks. The Job Hazard Analysis tool is used to identify how to perform task step-by-step, any hazards associated with the task and controls to mitigate the hazards. The primary methods for preventing employee exposure to hazardous materials are elimination, engineering and administrative controls. Where these control methods are not appropriate or sufficient to control the hazard, personal protective equipment (PPE) is required. Electrical Safety programs provide guidance to reduce and/or eliminate risks associated with the use of electrical energy. It identifies specific safety precautions to be adhered to and protective equipment to be used by personnel using, installing, constructing, repairing, inspecting, or maintaining electrical equipment. This hoist and crane safety program provides guidance for use and inspections of cranes and hoists, used for lifting or lowering a load. 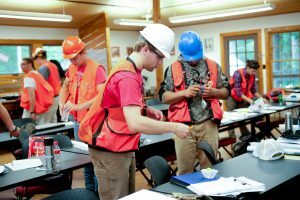 The Lock Out/Tag Out program provides NC State personnel with the guidance necessary to safely de-energize machinery or equipment and prevent the release of potentially hazardous energy while performing maintenance or servicing activities. Where engineering and administrative controls are not successful in lowering noise exposure, hearing protection devices must be used. Employees who wear a respirator must be given prior approval by the EHSC. Before a respirator is issued, a workplace assessment is conducted to identify harmful airborne chemicals.